I have read him in French and have read him in English, like a bilingual friend I would switch languages with. Orhan Pamuk has become a household name: perhaps my children have even grown accustomed to the large capital letters of his name on their mother's books. I have begun Istanbul. These are memoirs and I expect the intimate, the confessions, the anecdotes. Jonathan Franzen was criticized for Discomfort Zone: he had composed it half hazardly. I enjoyed his sarcastic short-story chronicles. Edward Said was criticized for being too narcistic in his Out of Place. I thought he was brave enough to admit he was out of place, as Franzen did with his synonymous Discomfort Zone. Nothing interests me more than the memoirs of geniuses, which explains my desire to read Istanbul. The first reason to read Istanbul is "to walk in my father's readings". He considered it a superb and memorable read because akin to his own childhood, even if Pamuk is younger and born in the Ottoman Metropole, my father's origin being the Province of Beyrouth. Pamuk never strays from his origins in his fiction. He is a bourgeois from the Nisantasi neighborhood. His antipathetic Kemal of Museum of Innocence is one also. In his memoirs like his fiction, he always over-explains the Turkish differences, accentuating the Orientalism over the universal. If only he could forget about his origins, explain them less, give us the joy of deciphering, and perhaps he would be more enjoyable to read. But there is no denying him the charm of the details. Orhan Pamuk gives us photographic detail of interiors. Interiors are naturally intimate and thus appealing to me. Nature morte by Bonnard or Matisse, but even more Hussein Maadi's interiors with cushions and artifacts, because equally Oriental. Indeed he spoke at length of "sitting room museums", the ones I describe in this blog under the rubric of Living Rooms. Like Pamuk, I have also retained interiors and built my memories in them. Surprisingly, the clearest and fondest of those memories are those pre-dating five years old, when I grew up in Beyrouth and paid attention to the interiors of my paternal relatives. 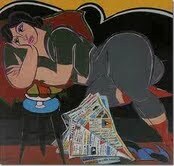 As a consequence, I am very fond of 1960s furniture and Omar Onsi watercolor paintings. If you want to get to the heart of the matter, read the Memoirs of a writer. I must say that he finally seduced me, after the romantic Museum of Innocence and the political Snow, I understood Pamuk best in Istanbul because I discovered his most genuine side. His sensibility and keen observation of childhood make me ponder whether one of my three kids has the same gift to memorize feelings and impressions and glorify their childhood as a good writer can. Only one point of criticism: Pamuk can't dust off his proustian counterfeiting: he imitates him too obviously when referring to his attachment to his mother. Some books I will always remember my father reading. One was AbdulRahman Munif's Cities of Salt that led me into the in depth study of Saudi Arabia; the other is Pamuk's Istanbul. The latter he really enjoyed and that positive vibe gave me more reason to appreciate it as well. The pleasure of reading came from my superimposing my own father and his own stories onto those of Orhan Pamuk. As I always do when I read La Gloire de Mon Pere. Istanbul was the perfect remedy for an early September read: it had the same tone of nostalgia that envelops us all when summer ends. P.S. I wrote this post when I was halfway through the book, as I often do, lest my ideas disappear! 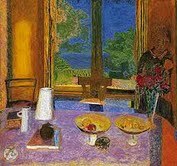 I found a reference to Matisse and Bonnard as I pursued my reading. Pamuk and I do think alike. I hope, one day, on a google trip, he may find this post as a clin-d'oeuil of appreciation. We offer Chauffeured Executive car, taxi and limo and tour services in Istanbul, Turkey including airport transfers for Ataturk Airport Istanbul, Sabiha Gokcen Airport Istanbul, Cruise Port Istanbul, Train Station Istanbul, Bus Station Istanbul plus private daily car rental with or without drivers. English Speaking driver or guidance can be provided if needed www.privatetoursinistanbul.com Either for your meeting in istanbul or a city tour in istanbul car and driver will be in your service All above services are at extremely competitive prices. Turkey Travel Group is a locally based hospitality reservation company that was initiated to ultimately make travel to Istanbul a convenient experience. 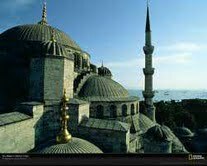 Turkey Tour services for your holiday and vacation in Turkey. Very flexible tours itinerary and very much based on your interest and it will be a great pleasure to organize your tours itinerary. Your best performance! A few things where we see it differently, but in the sustained effort it is better than an essay.